Debt-ridden Kingfisher Airlines' beleaguered chairman Vijay Mallya is battling against aircraft lessors and financiers who moved the Karnataka High Court for winding up the company for defaulting on loans by his holding company - United Breweries Holdings Ltd. Debt-ridden Kingfisher Airlines' chairman Vijay Mallya is battling against aircraft lessors and financiers who moved the Karnataka High Court for winding up the company for defaulting on loans by his holding company - United Breweries Holdings Ltd.
"As the cases are in the high court and the matter is under subjudice, I will not be able to comment. Though five winding up petitions are before the company court, we are in talks with two of them for out of court settlements," Mallya said on the margins of the company's 97th annual general meeting (AGM). 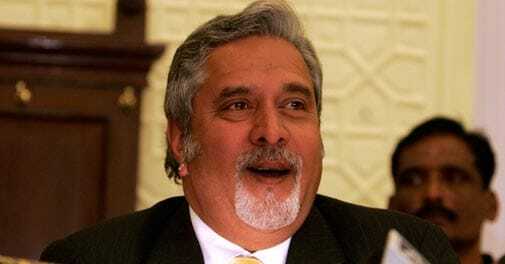 Asserting that the Rs 250 crore the holding company had deposited in the court would take care of the winding up petitions, Mallya said serious claims were only from three of the five petitioners. "We are not in favour of winding-up as we are continuing our efforts to review the airline," Mallya said. The consortium of 14 banks led by State Bank of India (SBI) moved the high court July 13 to recover their cumulative dues from the airline and its holding firm (UBHL) to the tune of Rs 6,203 crore. UBHL is the guarantor for the defunct airline. The crisis-hit airline's permit to fly was suspended in October 2012 by the Directorate General of Civil Aviation (DGCA) due to safety concerns and labour problems. The airline accumulated losses to the tune of Rs.16,023.46 crore as of March 31, 2013 and its net worth stood at a negative Rs 12,919.81 crore.